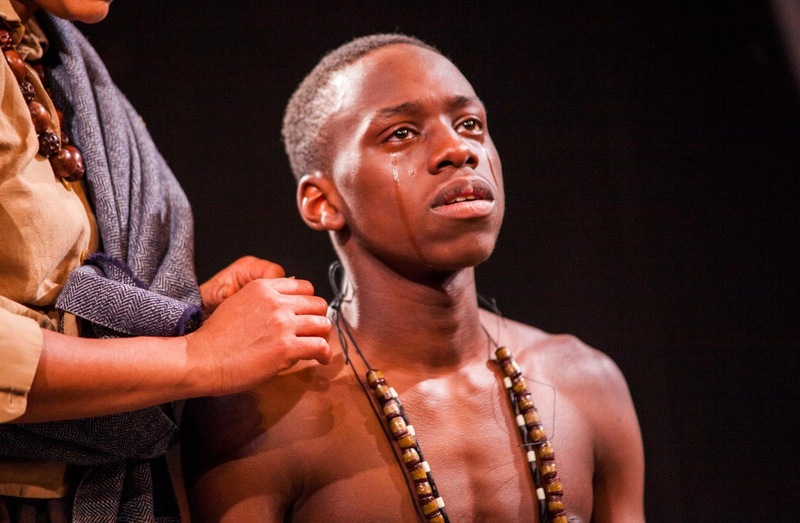 These two words come into play in The Convert, written by Danai Gurira, directed by Christopher Haydon and playing at the Gate Theatre in Notting Hill until 11 February. We are in Rhodesia, in today’s Zimbabwe, in 1896, then under British colonial rule. This is where we meet Chilford, a local man who has embraced the white occupier’s Christian religion. In fact, he is the only African man to be a catechist in the region. He is dressed elegantly and strains his accent so as to sound as English as possible. He is a great believer in Jesus’ ability to save his people and is convinced of the superiority of the occupier. He has a female servant who speaks a mix of the local language and English, and accepts to take a young girl, Jekesai, under his wing. Chilford changes her name to Ester, and soon enough teaches her the Bible, turning her into a devout young Christian woman. While the occupier is hiring Africans and introducing a Western economic system into the region, it is revealed that this may not be as enlightening as Chilford may believe. Indeed, while some of the local population are profiting greatly from the white system, others are feeling betrayed and stripped of their identity – how long until they will revolt? The three acts are richly written. 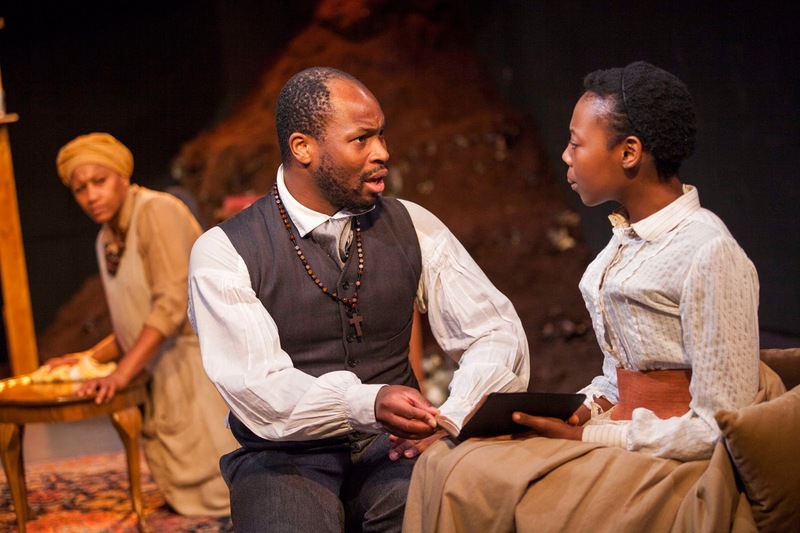 I highly enjoyed the use of language and accents in this play. As Ester improves her English, we notice how her use of consonants changes, with Rs turning into Ls. This helps the audience define where other characters stand. In addition, there is much humour in the contrast between Chilford’s seriousness and his misuse of some English expressions – something is often not quite right, such as “right under my nostrils” or “it’s a bag of mixes”. These elements were a nice reminder of how language can evolve. I mentioned assimilation earlier. It is one thing to go to another country and to change to somewhat fit in, but what if others come to you and decide to convert you, and take away your heritage? In Rhodesia, the importance of ancestors and the richness of the local language and customs makes any submission painful. The singularity of the region is in its clothes, the way houses are built, the closeness to the earth and the honouring of the dead. Can all that be taken away right under their noses? has been hired by a mine owner and is rebelling against the white occupant. The fact that he is working, has to pay taxes to an employer who is taking his country away from him is troubling him and facing him with his own masculinity. Chancellor (Richard Pebble), on the other hand, is somewhat collaborating with the occupier. He likes their money, enjoys their riches and feels superior by speaking English. However, he is dishonest and disrespectful of women. More than anything, he himself doesn’t know what he stands for. His fiancée, Prudence, is well-educated and ahead of her time. She is confident enough in her own skin to embrace the culture brought by the occupier, all the while keeping her sense of homeland. She is an inspiring character! With such great writing as a base, one can understand in turn why the acting is so outstanding as well. Mimi Ndiweni as Ester beautifully shows her evolution from girl to woman who eventually doubts her beliefs. 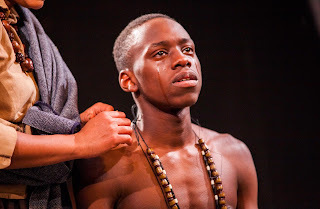 Stefan Adegbola as Chilford expresses much pain, as we see that he is suppressing what he used to love about his own people – sometimes through whiskey. 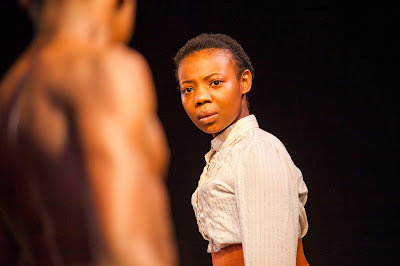 Prudence is played with elegance and charisma by Joan Iyiola (I’m a fan); I wouldn’t exactly say that she steals the show, as everyone was so strong, but she certainly makes a strong impression! This was an excellent production in an intimate space supported by a great cast and a direction full of surprises. I had heard of but not seen Gurira’s work before, and look forward to seeing more.